The IRS has been sharing confidential applications and documents from conservative organizations to such news sources as Pro-Publica - funded by George Soros. 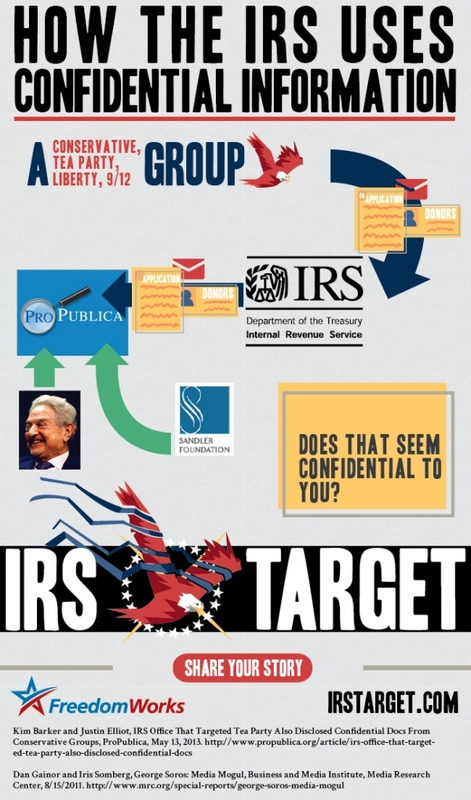 Hopefully the image below is helpful in sharing and letting people know about the corruption going on over at the IRS. If you or someone you know has been targeted by the IRS due to your political beliefs - please share your story with us at IRS Target.